Sambal is a popular chile paste condiment used in Southeast Asian countries like Malaysia, Singapore and Indonesia. 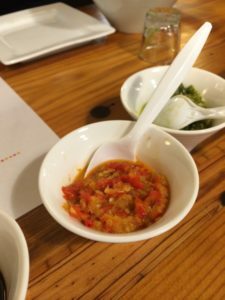 The heat level depends on which chile’s were used to make the sambal paste. Some popular pepper choices are the habanero or the cayenne chile pepper. 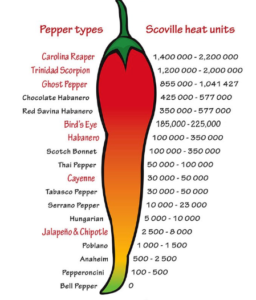 If you are unsure of just how hot these peppers might be, here’s a quick guide on the heat units from the Scoville Scale, thanks to The Sonoran Spice Company. It’s pretty darn spicy, but fear not! It’s so tasty you might not care about the heat! Our red sambal sauce is a level 3 on our “spice-o-meter”, bringing in that extra punch of heat. We’ll let you in on our secret Sambal Sauce, but you have to keep it hush hush. The base of our red sambal sauce includes chile peppers, calamansi fruit to sweeten it up, and citrus limes to add some zest. Garlic and ginger are a few spices thrown in. 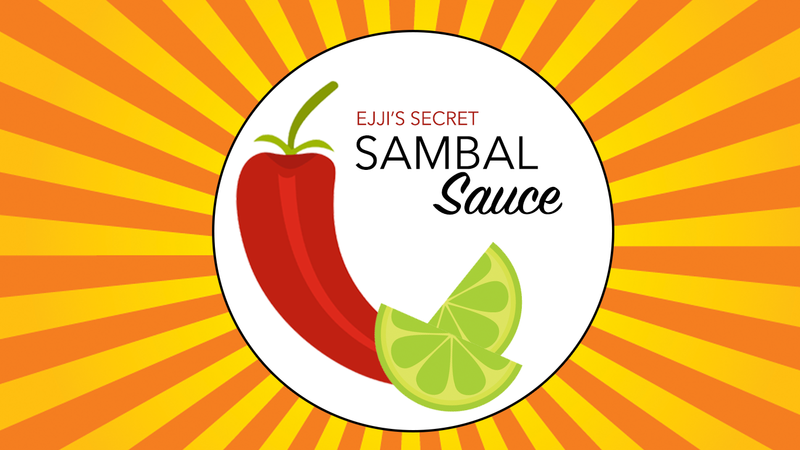 All of our Ejji sauces are made in-house, so our red sambal is always fresh and always hot, hot, hot! We challenge you to order our red sambal sauce to add a fiery flavor to your next ramen or rice bowl. However, if you don’t handle heat well, we suggest giving our green sambal sauce a try. It’s a level 2, offering the same great flavors, with more of a medium heat. We created each of our Ejji sauces to pair nicely with any menu item. 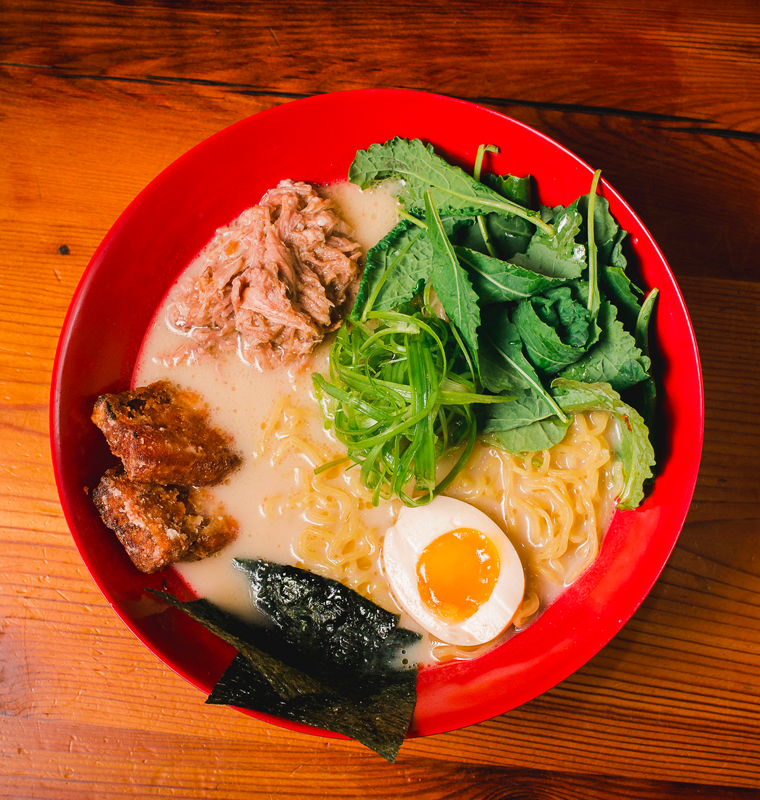 So choose your dish, choose your sauce, and begin to enjoy the layers of umami exploding on your tongue. You have now been initiated.